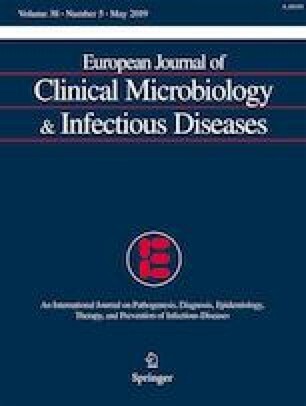 Brucellosis in pregnant women is reported to be associated with obstetric complications (OCs), and adequate data for human brucellosis during pregnancy are largely lacking. We performed this multicenter retrospective cross-sectional study to evaluate the epidemiology, clinical course, treatment responses, and outcomes of brucellosis among pregnant women. The study period comprised a 14-year period from January 2002 to December 2015. All consecutive pregnant women diagnosed with brucellosis in 23 participating hospitals were included. Epidemiological, clinical, laboratory, therapeutic, and outcome data along with the assessment data of the neonate were collected using a standardized questionnaire. Data of 242 patients were analyzed. The OC rate was 14.0% (34/242) in the cohort. Of the 242 women, 219 (90.5%) delivered at term, 3 (1.2%) had preterm delivery, 15 (6.2%) aborted, and 5 (2.1%) had intrauterine fetal demise. Seventeen (7.0%) of the newborns were considered as low birth weight. Spontaneous abortion (6.1%) was the commonest complication. There were no maternal or neonatal deaths and pertinent sequelae or complications were not detected in the newborns. Splenomegaly (p = 0.019), nausea and/or vomiting (p < 0.001), vaginal bleeding (p < 0.001), anemia (blood hemoglobin < 11 g/dL; p < 0.001), high level of serum aspartate aminotransferase (> 41 IU/L; p = 0.025), oligohydramnios on ultrasonography (p = 0.0002), history of taking medication other than Brucella treatment during pregnancy (p = 0.027), and Brucella bacteremia (p = 0.029) were the significant factors associated with OCs. We recommend that pregnant women with OC or with fever should be investigated for brucellosis if they live in or have traveled to an endemic area. The authors declare that they have no conflict of interest. NJB is affiliated to the National Institute for Health Research Health Protection Research Unit (NIHR HPRU) in Emerging and Zoonotic Infections at University of Liverpool in partnership with Public Health England (PHE), in collaboration with Liverpool School of Tropical Medicine. NJB is based at the Liverpool School of Tropical Medicine. The views expressed are those of the authors and not necessarily those of the NHS, the NIHR, the Department of Health or Public Health England. Ethics Committee of the Fatih Sultan Mehmet Training and Research Hospital Review Board, Istanbul, Turkey. Not applicable. The study has a retrospective design.